If you want to be great at something, you have to practice it every single day. Athletes train and practice constantly to perfect their sport, and the mental game should be no exception. 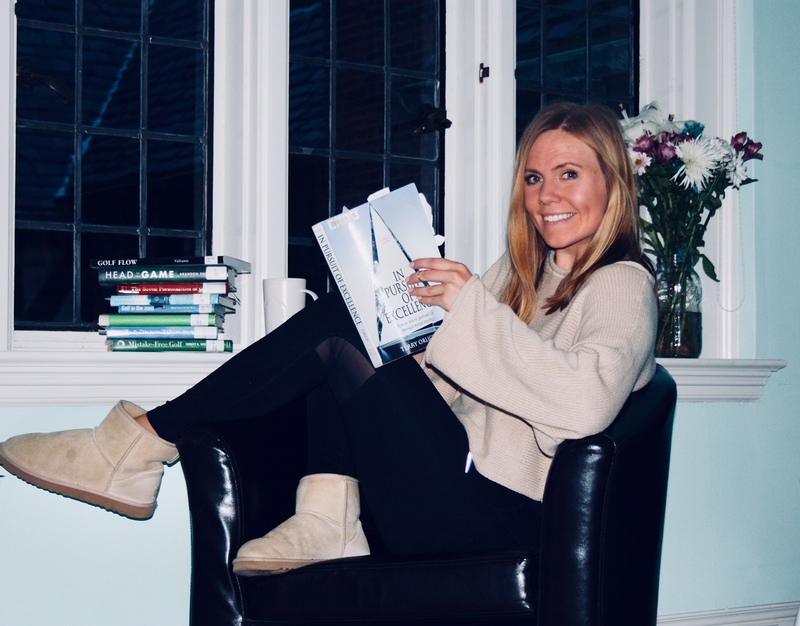 There are so many ways to train your mind and body, but for me personally, I love reading books that help me hone in on my skills that I’m trying to focus on. 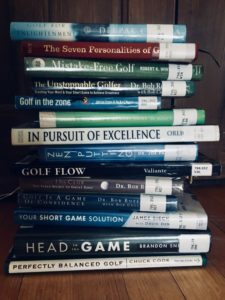 Reading is my favorite way to work on my mental game because it combines two of my favorite things; books and golf! I can throw a bookmark on the page that resonates with me and come back to it when I need a reminder! There is so much emphasis on the mental aspect of golf because unlike many other sports, you have time to think between shots. You don’t have teammates out there with you, and you have to rely on yourself to be your own cheerleader. As a player, you must have the mental capacity to stay calm when you’re nervous, and to pump yourself up when you need to. I have compiled a list of ten amazing mental game books that I have read/am currently reading. As I mentioned in one of my first blog posts, Bob Rotella is the guru of sports psychology and all of his books are incredible. However, this list includes other authors that may be harder to find. I hope that you guys get a chance to check out some of these incredible books. If you’re a golfer, I am positive that these will be an asset to your game. Until next time, birdies!